SEAT continues to spearhead the introduction of CNG technology, giving customers the widest choice of vehicles that are cleaner, more sustainable and offer even greater efficiency. The brand’s range includes the Mii Ecofuel, Ibiza TGI, Arona TGI and Leon TGI, meaning there is a CNG-powered vehicle to suit every lifestyle and taste, and take advantage of the fast-growing CNG network in Europe, together with most relevant advantages of Natural Gas Mobility which are sustainability and very low cost per kilometer. 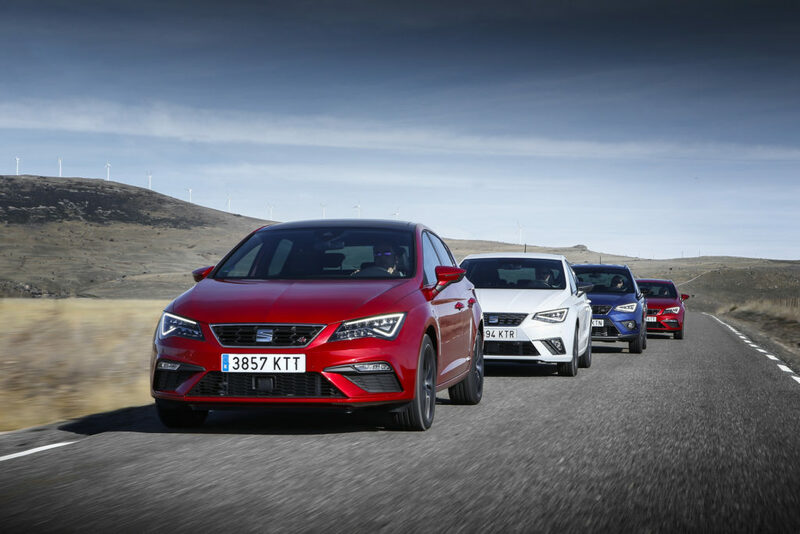 Each vehicle has been designed and developed at SEAT’s headquarters in Martorell, and represents a further step in the firm’s vehicle development program, showcasing the benefits of using CNG as the primary fuel, a fuel that offers a reduced environmental impact, but doesn’t diminish driving pleasure. A CNG vehicle reduces CO2 emissions by about 25% compared to a petrol driven equivalent. As well as ecological and tax benefits, TGI technology offers exceptionally low costs per kilometer, up to 50% cheaper than a petrol equivalent model and 30% cheaper than a diesel – and with the further improvements SEAT has made to the technology, now it can go even further before needing to be refueled. SEAT’s decision to increase mileage in CNG mode rather than petrol has come as a result of the demand by SEAT customers who currently use a CNG vehicle: drivers are systematically ending up choosing to use CNG since they are aware of the vehicle’s increased sustainability, the considerable savings on fuel, and they already know where the nearest supply points are on their regular driving routes. The Mii Ecofuel, the Ibiza TGI and the Arona TGI use tanks made of high-strength steel, while the SEAT Leon 1.5 TGI EVO is fitted with a combination of one high-strength steel tank, which is smaller and located ahead of the rear axle – and two new large tanks located behind the rear axle, that are manufactured in a carbon fiber composite construction, significantly reducing their weight and optimizing weight distribution. The CNG-fueled vehicles incorporate two (Mii Ecofuel) or three (Ibiza, Arona and Leon TGI) CNG tanks, a filling nozzle located behind the petrol filler cover, gas pressure sensors and an electronic two-stage pressure regulator that effectively controls gas distribution to the CNG engine – both Ecofuel and TGI versions – are substantially modified and have many specific parts essential for an optimum operation in both gas and petrol modes, as well as parts specially adapted to the characteristics of the combustion of natural gas (reinforced pistons and optimized piston rings, reinforced bearing shells, adapted camshafts, valve guide material and reinforced valve seats, nitrided exhaust valves, lambda sensor and catalytic convertor optimized for methane conversion, etc. ).